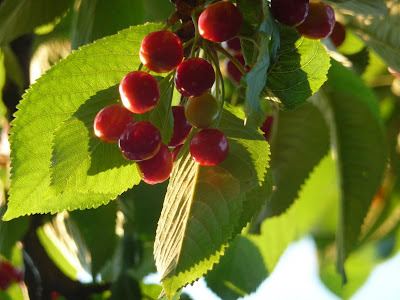 My mouth is watering at the thought of fresh cherries --beautiful images! And Robert Graves has alwys been a favorite of mine -- I, CLAUDIUS; THE WHITE GODDESS; and the poem "To Juan, at the Winter Solstice." the contrast between Vienna and here is just SO apparent in these photos. They are full of life and juice! I bought a huge bag of fresh cherries Saturday at the market and have been devouring them all weekend! Wonderful photos and perfect poem to go with them. 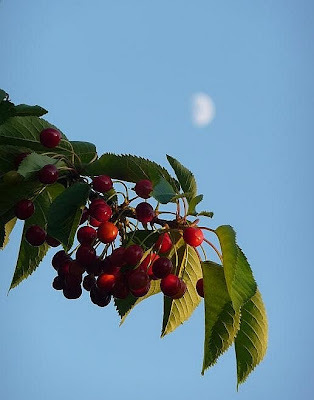 so beautiful... the cherries and the moon. you are yourself a poem! Your picture of the moon in the middle of the cherry tree is so lovely, so beautiful! You are inspired and inspiring. Loved it, the pictures and the poem, dragged up a memory from school and I was able to recite parts of it from THAT long ago. Wonderful post, Merisi. All the pictures are very nice, beautiful the first two with the focus on the moon and not on the cherry tree and vice versa. Delightful! 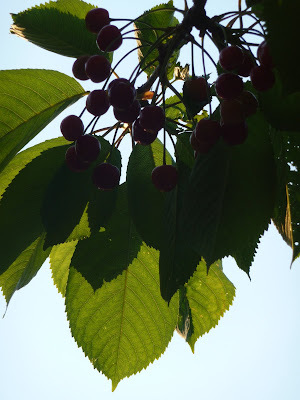 Everyone is talking about cherries. It's almost as if they're the world's favorite fruit. Love how you brought the photos together with the poem.